The Wedding Feast at Cana - 9000pc after 13days of effort. M and I took a couple days off of puzzling to go sailing but last night I managed to set down for an hour or so and work on more red. I will spend two more hours on red before calling the rest misfits and moving on to orange. Yesterday was also new puzzle day! 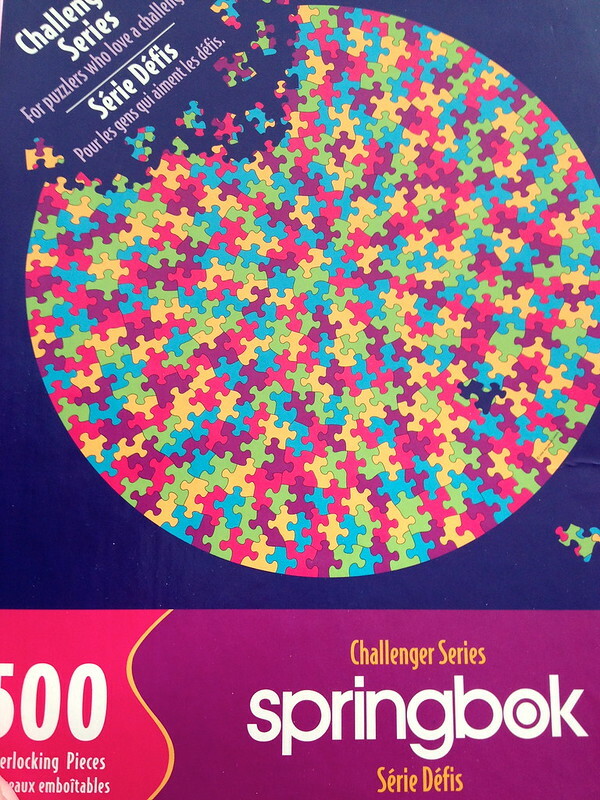 The Springbok 500pc Round Puzzle of a Puzzle showed up! This one looks like a lot of fun! The colosr are bright and has the traditional Springbok irregular cut and extremely tight fit. 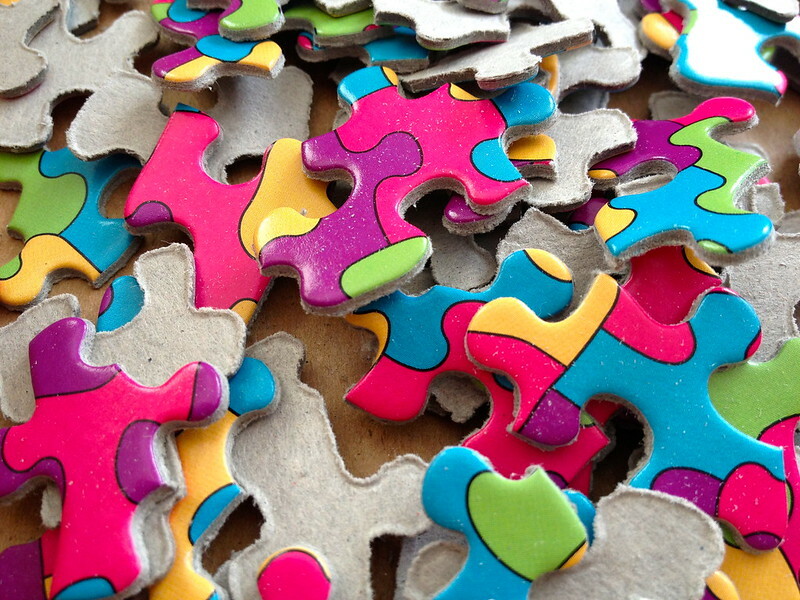 This should fulfill my puzzle of a puzzle fantasy! This should be a challenge!